The KIT3700 Series are full travel industrial keyboards, with 101/104 key functionality. 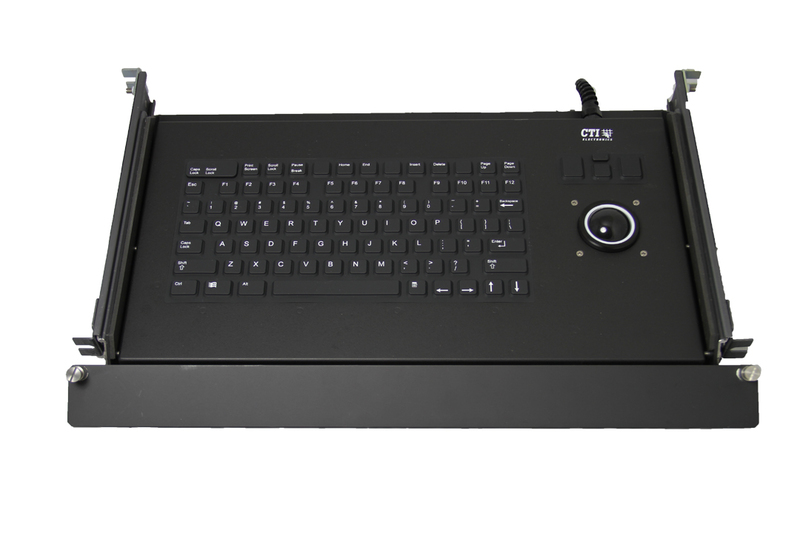 This rackmount keyboard is sealed to NEMA 12 (IP54) with a molded, replaceable polyurethane seal, and are combined with our high reliability trackball mouse pointer. The 1.5 " diameter trackball has a formed Teflon sealing ring in a metal collar,>redundant photo-detectors and hardened stainless steel shafts; making it very durable and precise. This ergonomic keyboard offers high reliability trackball mouse pointers, are packaged in heavy gauge anodized aluminum with a 1U panel height, and include CTI's patented, ergonomic folding door hand rest feature. Sliding rails are rated at 80 lbs. per side and lock in the extended position. All installation hardware is included. 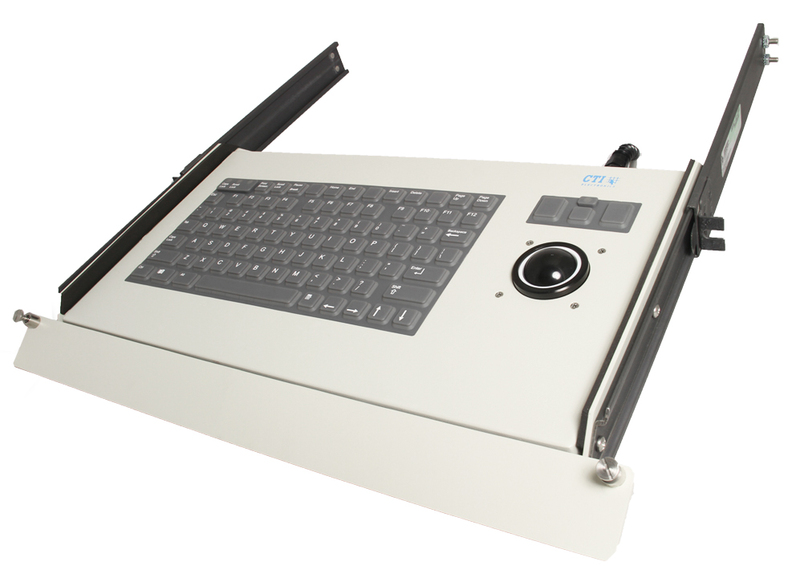 This industrial keyboard and trackball mouse pointer combination are the perfect solution where dust and minor liquid spills are of a concern; such as offices, security booths, manufacture control systems, and packaging plants. CTI's custom rackmount keyboards are ruggedized to meet aerospace, medical, and military standards. 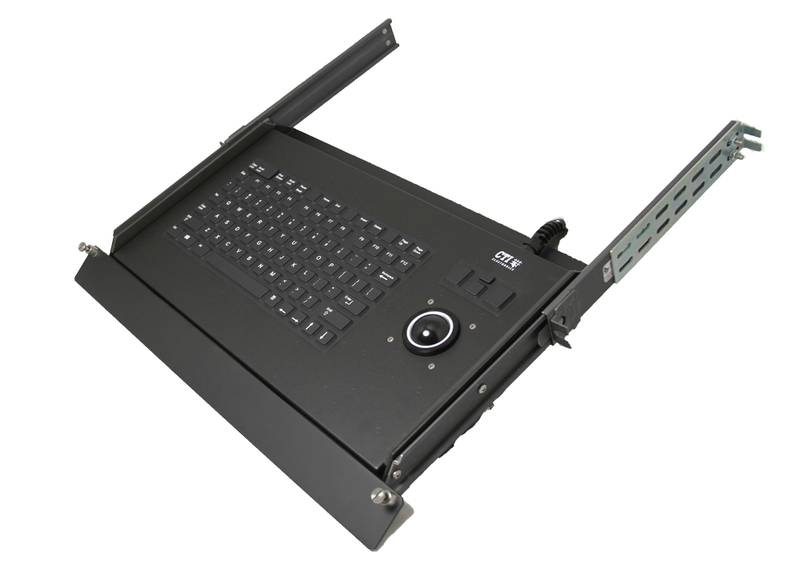 CTI's rackmount keyboards can meet MIL-STD-167-1, MIL-STD-901D, MIL-STD-461F, MIL-STD-810G, and MIL-HDBK-217F. 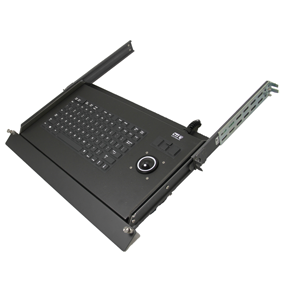 These rackmount keyboards are able to withstand vibration, shock, high EMI/RFI levels, compliant for humidity, fungus, spray, and MTBF is greater than 100,000 hours.